Can you name something that you spend your wages on that isn’t a brand? It is really difficult to think of something that isn’t a brand. Everything in some way is a brand, yet do we understand them? Take the essentials; Food, Clothing and Shelter. In the food category there are; Cafes, Restaurants, Supermarkets, Meats, Cereals, Confectionery, Wines, Beers and even Chefs. All of which are populated by brands. In Cafes you have the faux Italian “Café Nero”, the ubiquitous “Costa” and the tax avoiding Starfucks. In Restaurants, at the top we have Heston’s “Waterside”. In the middle, chains such as “Giraffe” or “Pizza Express” and then mopping up the calories but “Lovin’ it” there is the pester power favourite, “McDonalds”. In Supermarkets there is a race to the bottom with Aldi and Lidl. They are putting the squeeze on the middle four, so more reasons to sell shares in Morrisons, Asda, Tesco and Sainsbury’s. This leaves Waitrose (there’s Heston again) and M&S lording it at the top. Incidentally, has anyone at M&S clothing ever thought to compare the successful “super premium” positioning of M&S food versus the “mass” positioning of the M&S Clothing. This might hold the key to understanding their poor clothing results. The supermarkets over Christmas drip in Yuletide schmaltz. They advertise their way into our living rooms and all promise in some way to nourish our family festivities. There can only be a one word response to this gush of guff and that is “HORSEMEAT”. Talking of meats, the brands overflow here too. There is; British meat, Angus steak, Parma ham, New Zealand lamb and Iberico ham. Not to mention the fish brands; dolphin friendly tuna, dolphin nasty tuna, Dublin Bay prawns, Atlantic Cod and Norwegian Salmon. Suffice to say horsemeat doesn’t get a mention. How can we ever trust those supermarkets again – but we do. Are we negligent shoppers or does the power of the brand counterweight our concerns? In confectionery, did you know that at KitKat they have only recently stopped having a two-fingered brand manager and four-fingered brand manager. How mad is that! The two-fingered, the four-fingered and the KitKat Chunky are not separate products but separate brands – Give us a break! In wine we have grape brands such as; Chardonnay, Pinot Noir and Sauvignon. The wines themselves are also brands; Muscadet Soave, Claret or Chianti. Then there are the wineries such as Penfolds and Kumala. Did anyone mention water? Why is there branded water; Volvic, Perrier, Malvern and San Pellegrino and not branded oxygen? In beers there are the Camra type ales, the premium lagers and then the “cloak and dagger” of them all, the one affectionately called “Wife beater” or Stella. The “Cloak” part of Stella is the beautiful advertising selling the fantasy of the French Rivera. The “Dagger” part of the equation is that it often the cheapest branded beer in any supermarket or off license. It is genius (or is that Guinness), we are hoodwinked by the power of advertising into thinking we are getting a great deal. It’s a very sound commercial model. Then we have the chefs. Let’s take our two most famous powerful chef brands, Gordon and Jamie. One is in debt and one is loaded. One is a world-class chef and one is a world-class brand manager. Lets look at the world-class chef, Gordon, his TV show Kitchen Nightmares and Hells Kitchen are classic “confict” TV, aimed at a mass audience. However, his product, the restaurants such as Restaurant Gordon Ramsay are Michelin starred fine dining experiences aimed at the discerning luxury consumer. A total disconnect between the audience or market generated by TV exposure (Mass) and his product (Luxury). Gordon going fine dining is a bit like Jeremy Kyle doing Luxury. Now look at the world class brand manager, Jamie. He simply recognises that his TV programmes are his advertising. The titles of the shows are the brands and these brands are then extended across aligned product ranges. “Jamie’s Italy” on TV, becomes “Jamie’s Italy” the book, then “Jamie’s Italy” the Restaurant Franchise. This is repeated with “Fifteen” and the other restaurant franchises that target the Channel 4 demographic. It is classic brand management. Gordon doesn’t get this, otherwise there would be either a TV show called “Hospital Road” or a Restaurant called “Kitchen Nightmares” (calling the show that is proof enough that he doesn’t understand brand alignment). Jamie is worth £150m and Gordon isn’t, (Nice hair though). In food we can see how brands permeate our existence and affect how we live. In clothing too, our lives are dominated by brands. In jeans, we have the original Levis, the original western in Wrangler, the original work jean by Lee, the irreverent jean with Diesel and also a plethora of fashion jeans by brands such as; 7 for Mankind, Nudie, Acne, Hiut and Cheap Monday. In Polo there is the American, faux-English, faux-American, tie sales man “Ralph”. There is the sharp, laurel leafed, Brit star “Fred” and then le chic professeur de couleur, “René” – (Lacoste that is). In Outdoor clothing there is; Mountain Hardware, Norrøna, Lafuma, Eider, Schöffel, Jack Wolfskin and Haglöfs all religiously following the doctrine of Genesis in the Old Testament, “Man’s dominion over nature”. This need to conquer nature is led by The “Never Stop Exploring” North Face. Only Patagonia and Arc’teryx suggest that we live with nature. We can even “Explore” on a budget with Regatta, Trespass and Columbia. In sportswear, we can opt for “Victory” with Nike, “Participation” with adidas, “Fun” with Reebok, “Technology” with Asics or “Innovation” with Salomon and it goes on. Finally Shelter, this is everything to do with our homes. Our builders, our electric, our gas, our mortgages, our banks, our carpets, our TVs, our lights, our kitchens, our ovens, our baths, our taps, our art, our furniture, our bleach, our washing powder, our everything. A simple observation on shelter. Who in the house generally makes all the house decisions? In my case it’s my wife, so why do most of the brands direct their power at me. 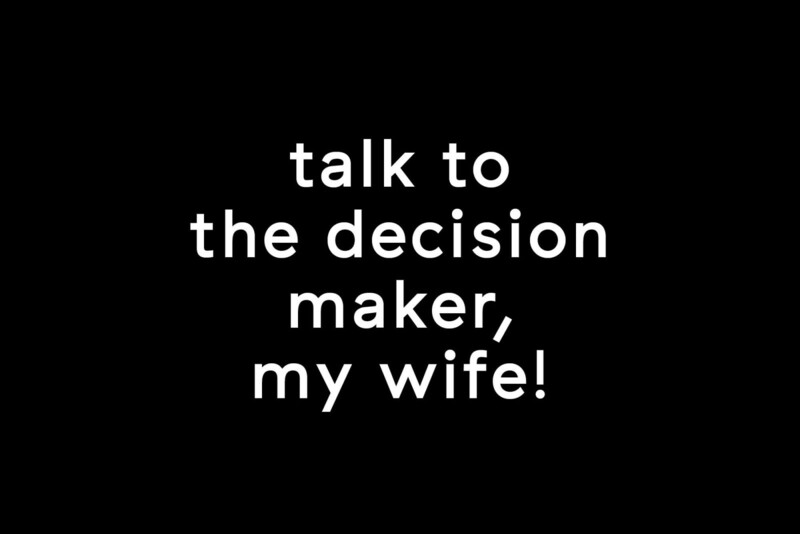 To the banks, electrical goods, interior brands and power companies I say this, don’t waste your time talking to me, talk to the decision maker, my wife! Brands are everything. Brands are everywhere. Almost everywhere we spend money and everything we spend it on is a brand. Given that this is evidently the case, then shouldn’t we try and understand what makes them such a powerful force in our lives. Like us, they obsess our children. Today our economy is at least as dependent on brands as it is on; hospitality, land or media. Until we understand how brands work, it is difficult to turn them to our advantage. Here we observe how brands affect us, how they evolve and even shape our politics and economics. We look at how brands can shape our well-being and even deliver power. Finally, we explore how brands can help us make decisions about our futures. A brand is simply a bundle of values expressed through a logo, product or service. “Brand-Ism” is the shorthand for our, as yet un-explored, brand obsession. A brand is simply a bundle of values expressed through a logo, product or service.